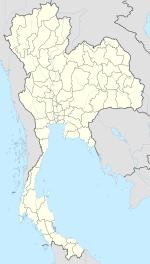 Koh Kradan (Thai: เกาะกระดาน) is an island in Trang province, Southern Thailand. Koh Kradan is described by Tourism Thailand as one of the most beautiful islands in Trang. Koh Kradan has white sandy beaches and transparent water which allow the coral reef to be seen clearly. Most of Koh Kradan is controlled by Hat Chao Mai National Park. The rest is privately owned. Koh Kradan is named from its oblong shape. Koh Kradan has an area approximately 600 acres or 2.4 square kilometers. It is located about 10 kilometers from the southeast coast of Thailand. •	Koh Kradan Beach is located on the east of the island. The beach is about 2 kilometers long. From the beach, you can see Koh Libong, Koh Whan, Koh Mook, and Koh Cherg. •	Ao Niang Beach is located on the south of the island. The beach is about 800 meters lon.. From the beach, you can see Koh Libong. •	Ao Pai Beach is located on the north of the island. The beach is about 200 meters long but has no coral reef. From the beach, you can see Koh Cherg, Koh Whan, and Koh Mook. •	Ao Chong Lom Beach is located on the west of the island. The beach is about 800 meters long, and is called "Sunset Beach" for its exceptional sunset. ^ "Koh Kradan". Tourism Authority of Thailand (TAT). Retrieved 18 Mar 2015. ^ "Hat Chao Mai National Park Trang Province". Thailand's World - South Thailand Parks. Asia's World. Retrieved 1 November 2012. This page was last edited on 21 January 2018, at 16:14 (UTC).